Jeannie has been the Director of Dining Services at Pine Village for 4 years. She has worked in long-term care dining services for over 20 years. She earned the Certified Dietary Manager and CFPP credentials in 2012. Jeannie is committed to leading her department in the effort of culture change and resident choice. She is a lifetime resident of Canton, Ks. In her free time, she enjoys traveling, camping, swimming, and going to KC Chiefs games with her fiancé, Nathaniel. 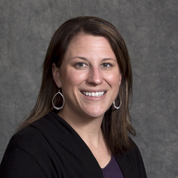 Laci Cornelison (MS, LBSW, ACHA) is currently the PEAK 2.0 Coordinator with the Kansas State University Center on Aging. She is on a mission to serve and support organizations as they implement person-centered care. Laci is a licensed adult care home administrator and social worker with a background as a provider. She is also a published author and advocate for quality of life for frail elders, particularly those living with dementia. Sara has been in the medical field for 12 years. 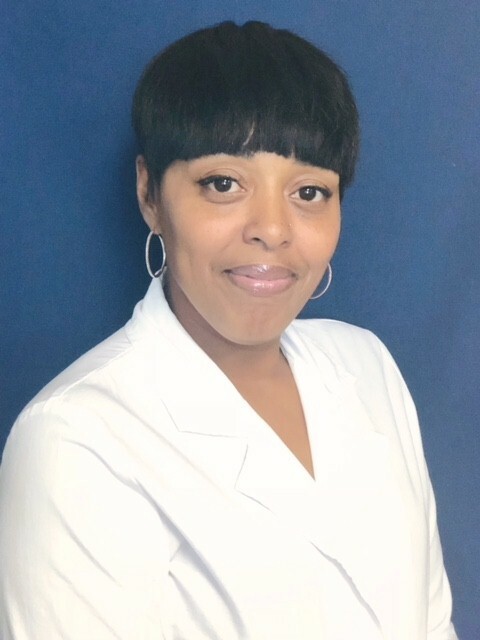 She started as a Certified Medical Assistant in a clinic for 2 years and went on to get her nursing license from Barton County Community College. She worked 2 years on a surgical floor before joining to Ness County Hospital. 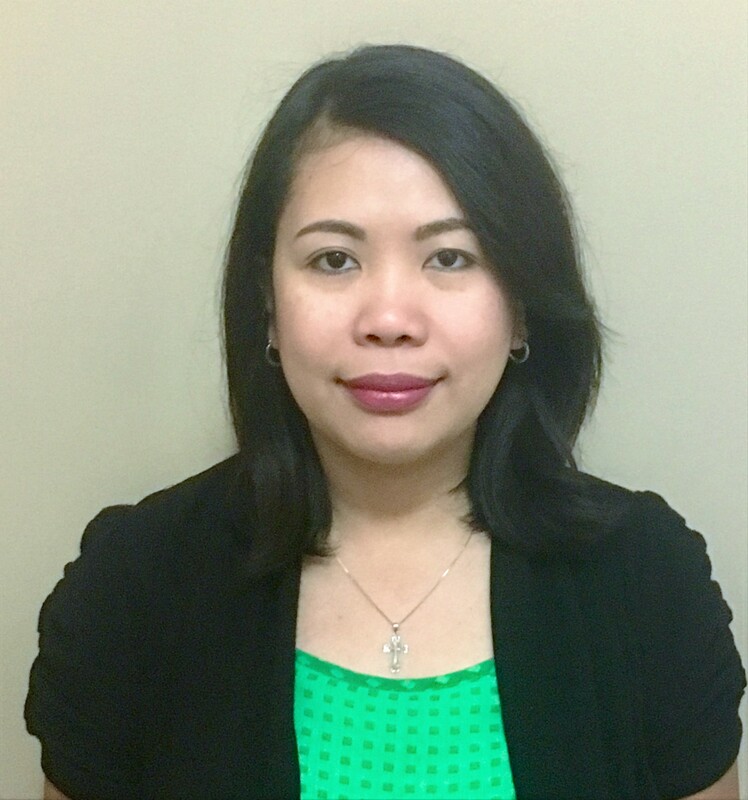 She started out on Acute Nursing/ER 7 years ago and then became the Director of Home Health for 2 ½ years. She started in Long Term Care a few months ago as the Director of Nursing. Desi was named executive director in November 2017 after serving as Health Services Administrator. She joined Salina Presbyterian Manor in July 2008 and became the health services director in May 2013. 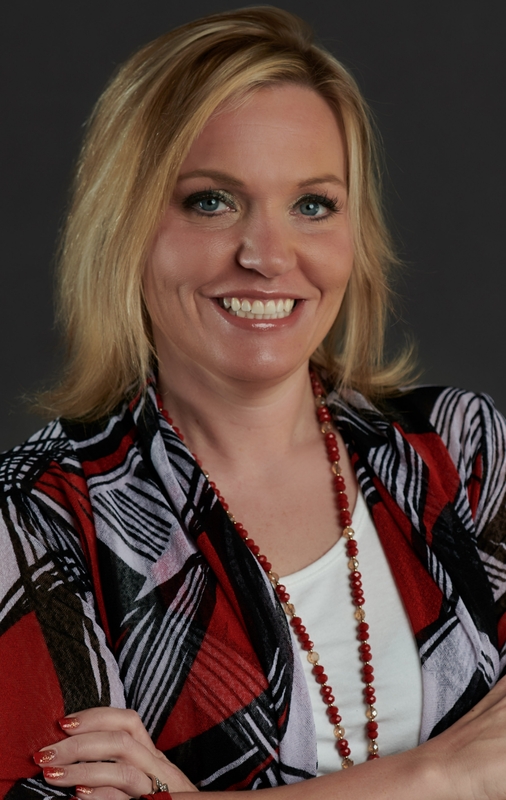 She is a registered nurse with a bachelor’s degree in nursing from Kansas Wesleyan University, Salina, Kansas. She received her licensed practical nurse training at North Central Kansas Technical College, Beloit, Kansas. Desi’s previous positions at the manor include Medicare case manager, quality assurance coordinator, nursing team leader, and Health Services Director. She previously was a licensed practical nurse with Good Samaritan Society, Minneapolis, Kansas. Desi is a certified lead wound care nurse. 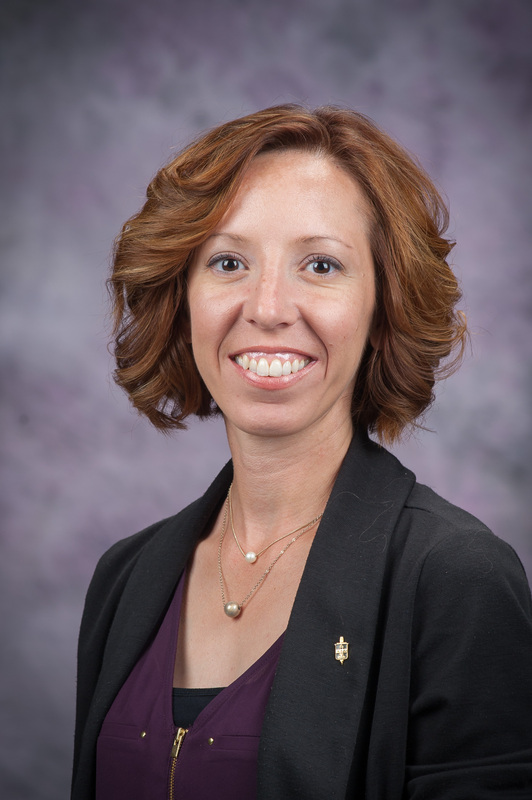 Stephanie Gfeller is the Long-Term Care Program Coordinator at the Kansas State University Center on Aging. 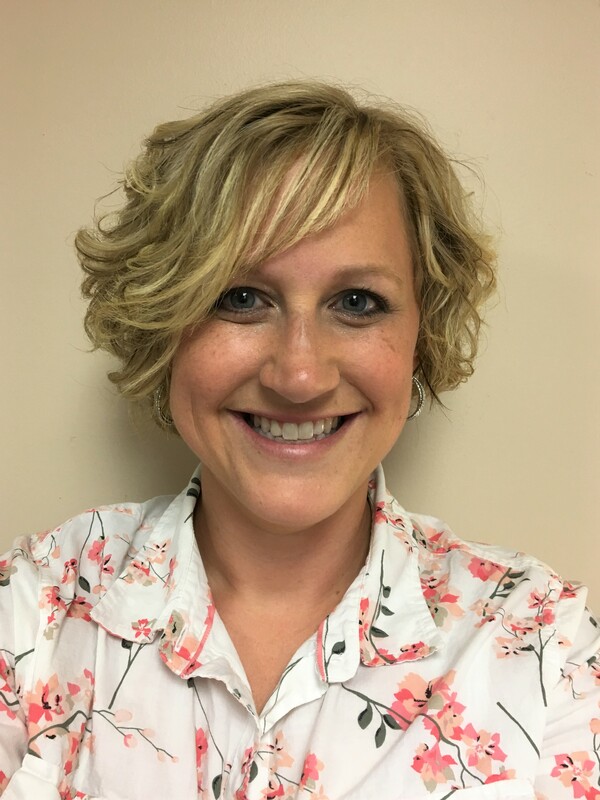 Through her role at the Center on Aging she teaches courses, oversees all aspects of the LTC program and works as a content developer, advocate and evaluator for the PEAK 2.0 project. Stephanie has been with the Center on Aging for 12 years. She is a licensed administrator and holds a Master of Science in Gerontology. 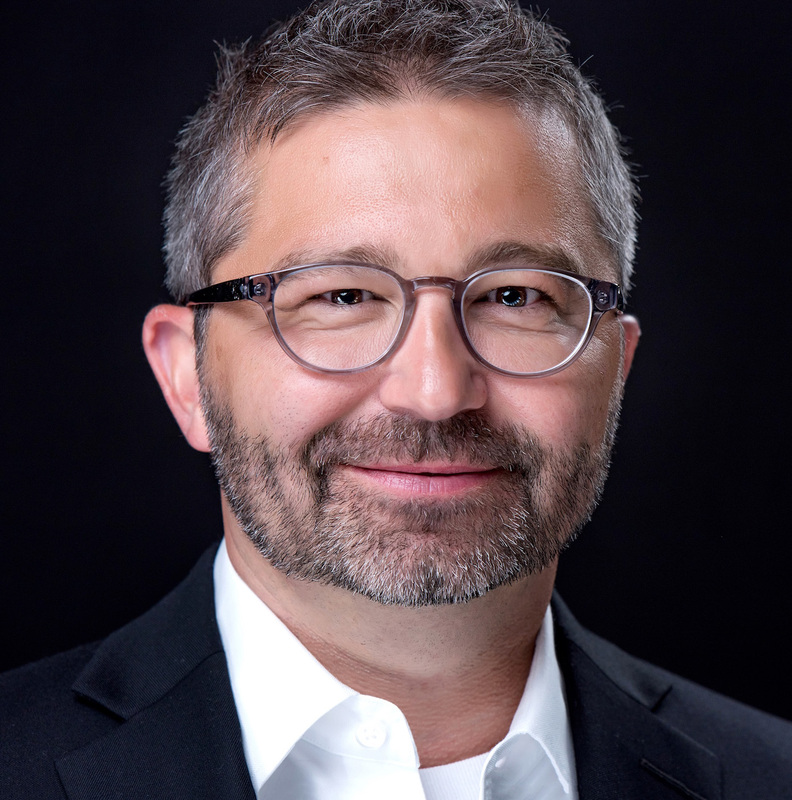 Christian is currently the Executive Director of Clay Center Presbyterian Manor. He has been a nursing home administrator for over 3 years. Previously, he worked as a CNA in Topeka, KS for more than 8 years. He graduated from Washburn University with a BA in History and University of Cincinnati with a Master of Health Administration. Christian enjoys serving Kansas seniors and ensuring they have quality of life. He looks forward to the opportunity of further developing my leadership skills. Karen Jackson joined Brewster Place in November of 2007 where she worked as an Accounting Clerk. She was promoted to Accountant in 2012, Assistant Controller in 2014 and Controller in 2016. She grew up in Philippines and attended Holy Cross of Davao College where she earned my bachelor’s degree in Accounting. She moved to Kansas in May of 2007. She and her husband have been living in Topeka since 2009. Sharen is the administrator at Good Samaritan Society- Ellis. She graduated from Kansas State University with a Bachelor’s degree in Family Studies and Human Services. She is married to Aaron and have two kids, Lauren and Levi who keep her busy. She has worked with the aging population the majority of her career in different aspects and find it to be the most rewarding career path. Danica joined Presbyterian Manor in November 2016. She previously worked in a variety of roles in the medical field over the last 23 years including medical billing, patient care coordination, and customer service management. 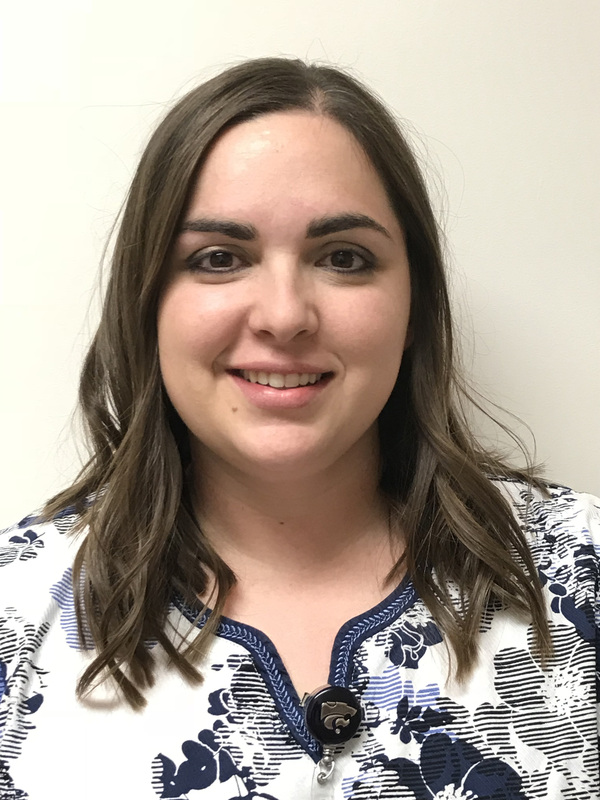 Danica recently accepted a new position at Topeka Presbyterian Manor in June 2018. She is the Director of Sales & Marketing for HealthCare. She looks forward to this new challenge and chapter in her career. 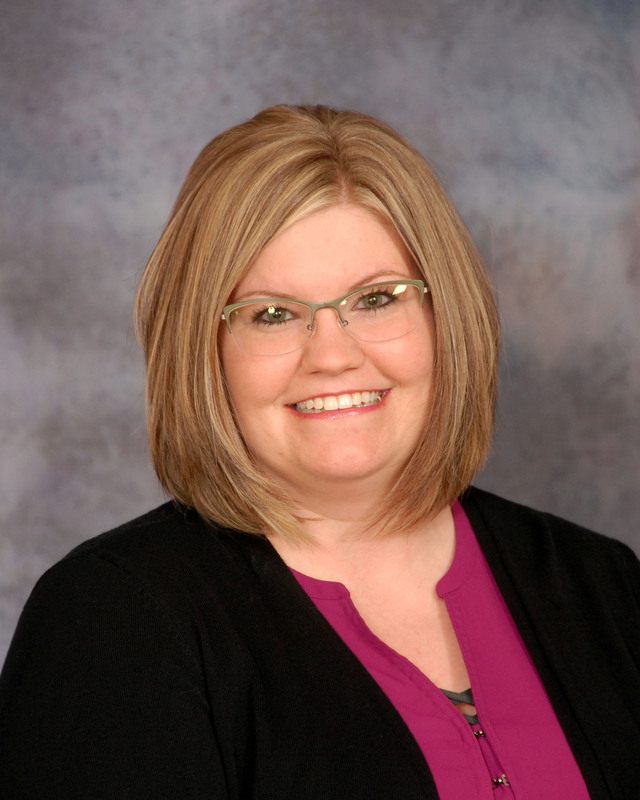 Kate Pentz is currently the Administrator for Catholic Care Center in Bel Aire, Kansas. 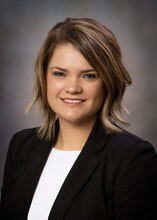 Mrs. Pentz graduated in 2014 with a Bachelors, 2016 with a Master of Science in Nursing from Kaplan University and is currently obtaining a Doctorate in Business Administration with Capella University. Mrs. Pentz has held several leadership roles over the last eighteen years uring her career in long-term care and plans to continue her career in aging services. Angela started her career as a nurse assistant at an assisted living community in St. Louis 28 years ago. After moving to Kansas from St. Louis in 1994, she wanted to continue the journey of working with seniors because it was rewarding. She attended a CNA class and became certified in 1994. In 2000, she attended an Area Technical School to become an LPN. Angela has worked at Evergreen Community for 22 years starting as a CNA and have been a part of the leadership team for 2 years. Renee has been an Administrator for 11 years and has been working for Life Care Services since 2014. She is currently serving as Dooley Center’s Administrator, offering support to the Monastic Community. Renee has her Bachelor’s Degree in Behavioral Science from the University of Kansas. She specialized in children with Autism while at the University. After graduation, she enrolled at Wichita State University where she earned her Long-Term Care Administrator licensecredentials. 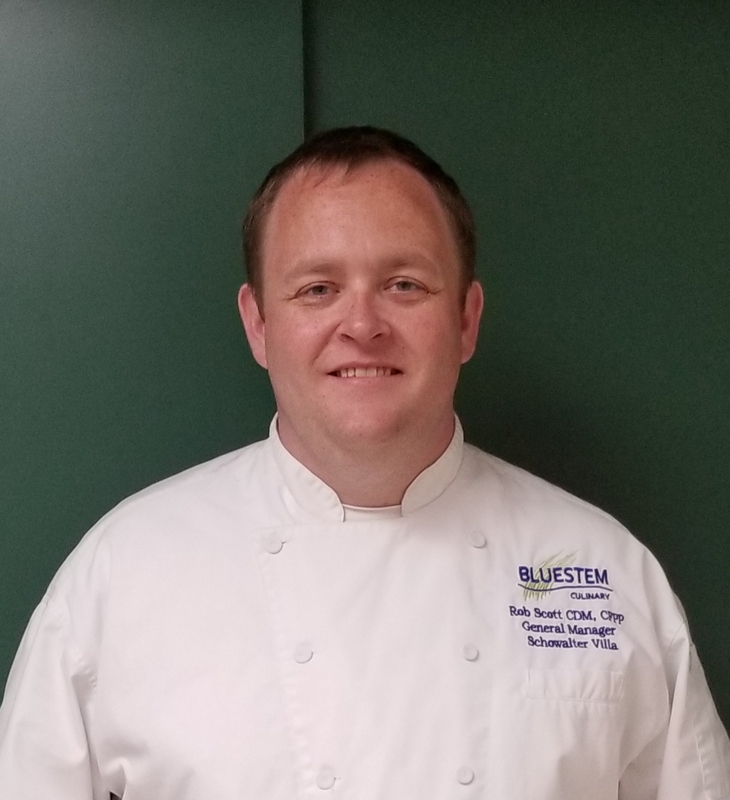 Rob started as the Director of Dining at Schowalter Villa in Hesston in June of 2017. Rob grew up in Kansas and resides in Hillsboro with his wife and two sons. His career in aging services started as a dietary aide in 2001. Creative cooking, presentation, and good home-style food are the foundations of Robs experience and daily practices. He has worked in food service management since 2007; including 6 years at Parkside in Hillsboro. He started culinary school in 2014. 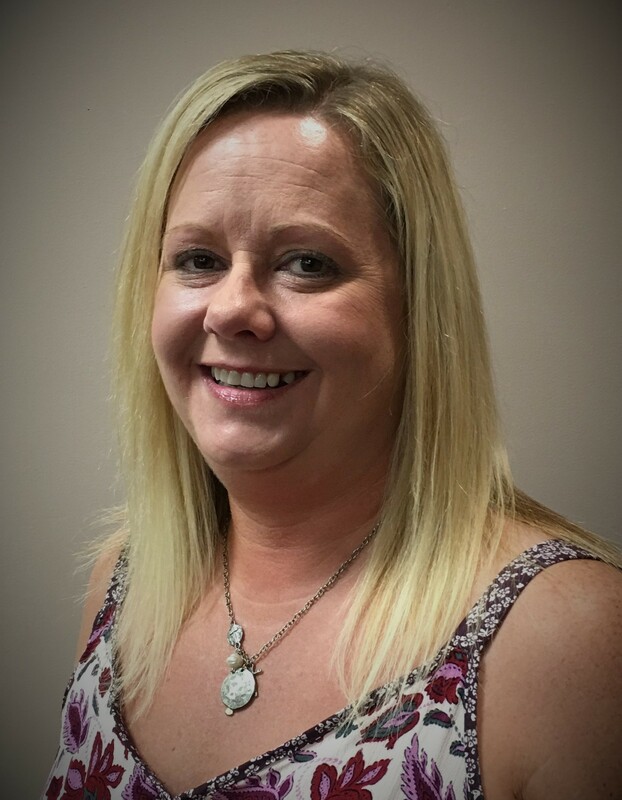 Misty is a Registered Nurse and the Chief Nursing Officer (CNO) for the Sheridan County Health Complex Long-Term Care in Hoxie Kansas. They are a 32-bed long term care with an attached 18-bed critical access hospital, 8-apartment assisted living, and a Federally Qualified Health Center (FQHC). She is passionate about seniors and our aging population. One of her main goals is providing exceptional healthcare and improving the quality of life of the older people in their nursing home. Layla has proven herself a wonderful leader for the Brewster Health Care nursing team. She provides loving structure and has a passion for helping nurses improve individually and as a team. Layla leads the largest and most diverse team on the Brewster campus. The myriad challenges that come with this role require an equally broad set of skills and approaches to leadership. In her free time, you can find Layla spending time with her husband Shane and their 5 children. Rodney Whittington is the CEO of Villa St. Francis and Executive Director of Catholic Community Hospice. 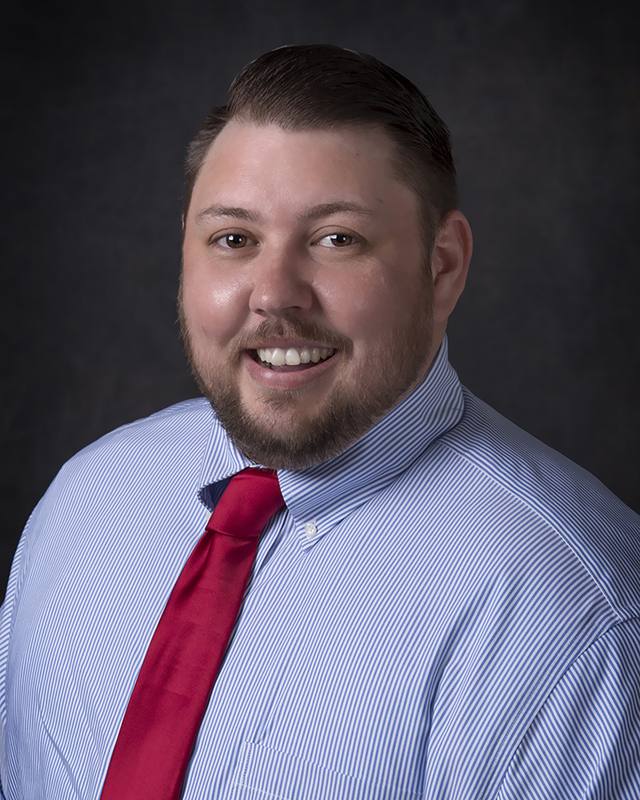 Rodney is a graduate of Kansas State University, a licensed adult care home administrator and in 2018 became a Health Services Executive as qualified by the National Association of Long-Term Care Administrator Boards. He is a resident of Lenexa, KS where he lives with his wife Jessica, daughter Hudson, Yorkie Rossi and a couple of cats.